Your Customers Impact Your SEO Rankings! If someone clicks on your website in search results and you don’t have the information they want, they’ll leave right away. The hard truth is that you don’t control your SEO or search engine optimization – – your customers control your SEO. Your customers will not read your website like a brochure. If you don’t have the information they’re looking for, they’ll look for it elsewhere. They’ll come to your website looking for information and if you don’t have it or if it’s hard to find, they’ll leave! Some friends at a local manufacturing company asked me to look at their website a few days ago. They had hired an expensive out-of-state marketing consultant and as part of his effort to rebrand the company, he’d built them a brand-new website. This website emphasized how much the company stood for American values, but if you wanted information about any of the company’s products, you really had to dig for it several website layers deeper than the American values statements and the mission statement. Their prospective Internet customers apparently had other things to do and other websites to visit, and they weren’t digging for the information. With this company’s new approach to SEO, Google Analytics reported that the website bounce rate had increased to 86%, the visitors that found the site only stayed there for 20 seconds, and the monthly number of visitors to a company website doing business nationally and internationally was only 1100. Organic visits were only a few hundred per month and most of those were probably searching for the company’s name. I’m all for American values — I served in the US Navy for many years. But I don’t want to waste time reading a consultant’s attempt to wrap the Flag around commercial products. There was no attempt to provide the information that users were searching for. This new, very expensive website is losing money for this company every single hour of every day and every month. 1. Do keyword research to find out what your customers are searching for online – – that you sell. 2. Structure your website to meet your customers needs for information. And make it easy to find! 3. Revise your website based on what Google Analytics is telling you about your customer experience on your site. We talk about an agile Internet marketing process and that’s the process of testing, analysis and revision that you need to work your way to the top of search results. Remember, you don’t control the information, the products, and the services that your customers are looking for online. Your SEO effort should be focused on finding out what information your customers are looking for and delivering it to them in the most efficient, effective and friendly way possible. 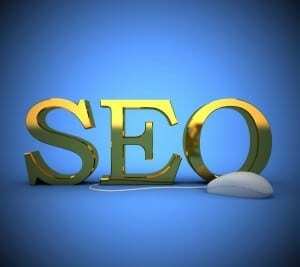 If you need help developing a website with SEO in mind, please call IX Brand SEO Services Company at 713-234-6346 today!